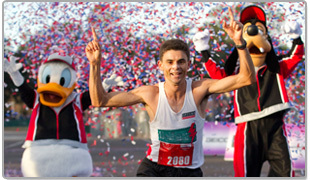 Deals for Disney VISA cardholders on Disney entertainment. Discover the majesty of the landmark musical event The Lion King in New York or Las Vegas. As a Cardmember you can enjoy an exclusive FREE one-level upgrade on select seats for performances September 6, 2010 â€“ March 3, 2011 when you purchase tickets using your Disney Rewards Visa Card. More than 50 million people worldwide have come to discover the thrill, the majesty, the truly one-of-a-kind musical that is The Lion King. This global phenomenon is the winner of more than 70 major awards worldwide including the Tony Awardfor Best Musical. Hailed by Newsweek as a â€œlandmark event in entertainment,â€ The Lion King is a breathtaking adventure that stretches the boundaries of Broadway, from the heart of Africa to the plains of your imagination. To take advantage of this great offer, use the letter “E” followed by the first four digits of your Disney Rewards Visa Card or Disney Rewards Debit Card as the promo code when prompted for an offer code. 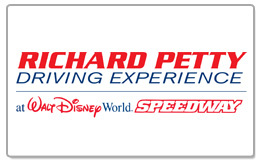 Disney VISA card holders receive a 20% discount on an annual membership to Disney Game Kingdom. Disney Game Kingdom Online is the coolest online destination where kids can create their own amazing world. With incredible games, wild and crazy pets, a house to decorate, and awesome characters, the fun never ends. The possibilities are endless â€” itâ€™s all up to you! High-Quality Games â€“ Access amazing games from the Disney Game Downloads lineup. Endless Fun â€“ Play tons of different games and activities. Wild and Crazy Pets â€“ Adopt and care for up to 6 crazy pets, each with its own unique personality. Cool Customization â€“ Create your own icy world, cheesy land, candy paradise, and more. Your Very Own House â€“ Decorate your house with awesome stickers and your favorite characters. A Safe Place to Play â€“ Play great games in a trusted environment, free from ads and links to other sites. Digital Prizes â€“ Earn coins by playing fun games and activities. Use them to shop for exciting digital prizes. Use your Disney Rewards Visa Card to sign up today and receive a one-year membership for only $39.95 â€” a savings of over 20%! To get your discount for Disney VISA card holders, click here and use your Disney VISA to pay the discounted membership fee. Disney VISA card holders can save $30 off the regular price when you purchase tickets for Orchestra or Front Messanine seats using your Disney Rewards Visa Card. Event Dates: Offer valid on select performances in New York City from August 29, 2007 – November 29, 2007. In 1997, The Lion King roared onto Broadway – and changed the theatre forever. For 10 years, theater-goers have been mesmerized by the exotic costumes and designs of director Julie Taymor and captivated by the pulsating score written by Elton John, Tim Rice and South African composer, Lebo M. Now, after 6 TonyÂ® Awards and over 4,000 performances, the show Newsweek hails as “a landmark event in entertainment” begins its second decade as Broadway’s most spectacular musical. This fall, you and your loved ones are invited to experience the wonder and majesty of The Lion King with a very special 10th anniversary offer for Cardmembers. Call (212) 307-4747 or visit the Minskoff Theatre Box Office (Broadway & 45th St). 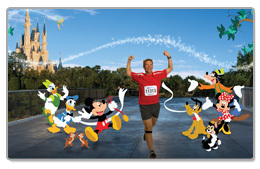 Provide offer code F7W plus the first three digits of your Disney Rewards Visa Card. Disney Rewards Visa Cardmembers enjoy 7 consecutive days of FREE play at Disneyâ€™s Toontown Online. Discover the action, adventure and laughs in Disneyâ€™s award-winning, anvil-dropping, ever changing online game for kids and families. In this massively multi-player internet game, youâ€™ll adventure into Toontown where youâ€™ll create your own Toon character, and live like a Toon. Then hang onto your ears for non-stop, fast-paced twists and turns as you explore amazing lands and save Toontown from the evil Cogs! Sign up today using your Disney Rewards Visa Card, and enjoy 7 consecutive days of FREE play! Are you TOON enough? Click Here and follow the on-screen installation instructions to receive an extended 7 day trial in Disneyâ€™s Toontown Online. 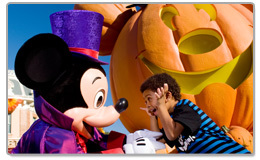 After 7 days, use your Disney Rewards Visa Card to subscribe to the fun all year! Offer valid 6/1/06 to 7/31/06.